Hi, I had a new router delivered last week because the old one stopped working. 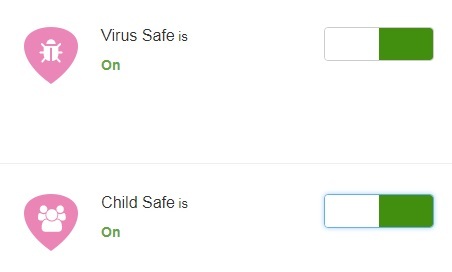 Once installed I found I could not access my websites, I went onto my account to change child safe settings to off but to no avail, can anyone help please? Does it show as off in the control panel? If so and you've rebooted the hub and rebooted all of your devices since making the change, then it is bugged out on the VM system end. A member of staff here would have to go in and turn it off on their end. But staff responses have been taking between one to two weeks, response time wise. Yes, I,ve been onto my account and it is showing in the control panel as off, I,ve done this several times, applied and rebooted but still does not work. Sorry about that, I notice that you toggled it on the 27th and it does look to be off on our central LDAP, is it still happening? Are you certain you are still using our DNS servers, sorry to ask it as I have no reason to doubt you are but need to be certain. If so would you please try a traceroute to the affected URL to see if it routes via our websafe proxy, either paste it in this thread or if sensitive drop me a PM. Hi Nicola, the problem seems to be resolved now, thank you for your time in helping with this issue. Access My Virgin Media with your primary VM email address. 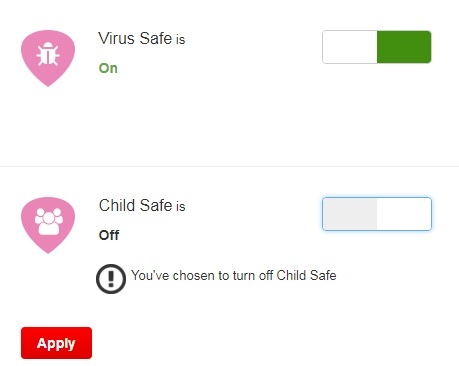 Go to the My Apps tab > Websafe > Click on Child Safe is on to turn it off and click apply.